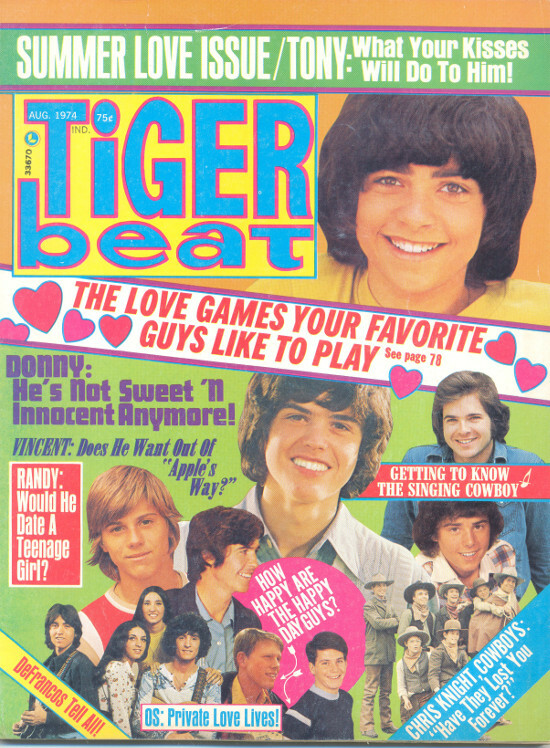 Just added to my eBay auctions – a selection of 1970s teen celebrity and gossip magazines, featuring such favorites as Donny and Marie Osmond, the Brady Bunch kids, the Jackson 5, Randy Mantooth, Vince Van Patten, Rick Springfield, and many, many other! More are coming, but you can see what I have now in my eBay listings. Yeah, I know, this doesn’t have a whole lot to do with comic books, but c’mon, how cool are these? This entry was posted in eBay on November 14, 2014 by Mike.